decision you will make for your Wedding Day!! 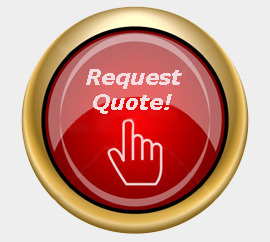 The EXPERIENCE of your DJ makes all the difference! Excellence in Entertainment Services for Lincoln and Omaha NE! 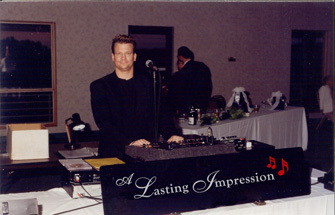 My name is Randy Drewel and the goal of A Lasting Impression DJ is very simple; I love helping brides create the most beautiful and elegant wedding ceremonies and the most FUN wedding receptions possible. I simply want to put my years of experience to work for you. Do you want your wedding and reception to be like others you have seen or do you want yours to stand out and be different? I will help make your wedding day stand out and be different in the greatest possible way! The difference between A Lasting Impression and all the other DJs is that I will meet with you before you put down your deposit to ensure that we are a great fit. When you choose me as your DJ, we will get started right away in planning out the most FUN we can have for you and your guests. I will present you with your Wedding Packet full of helpful ideas and vendors to get your planning started. Let us create something special and original for your wedding that people will remember and talk about for years to come. I would love the chance to see if I am the right DJ fit for you. If your wedding ceremony is at the reception hall, then it is very important that your DJ also be a very good wedding planner. Making sure that things flow smoothly between the ceremony and the reception is very important in keeping your guests engaged. I also DJ many wedding ceremonies at different locations from the reception and it is very important for us to create a smooth flowing timeline without to many breaks in between, so your guests will stay engaged throughout the entire day with you. Creating a stress-free day for you while ensuring your guests have a great time is very important to me. Please make sure you take a look at my 200+ combined reviews on Google, Facebook, Wedding Wire and The Knot. 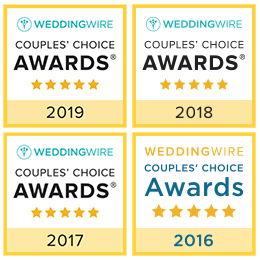 The reviews will not only show you my excellent customer service skills, but also my full time commitment to my craft as a DJ and wedding planner; leaving you and your guests with A Lasting Impression. 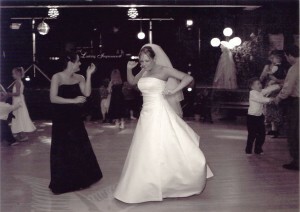 CLICK HERE to See What Happy Brides Are Saying! 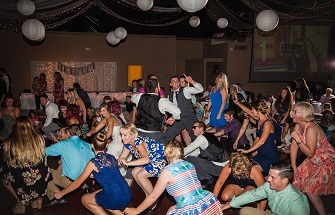 Nebraska’s Premier DJ Service is A Lasting Impression!